Teamwork turns ripples into waves. 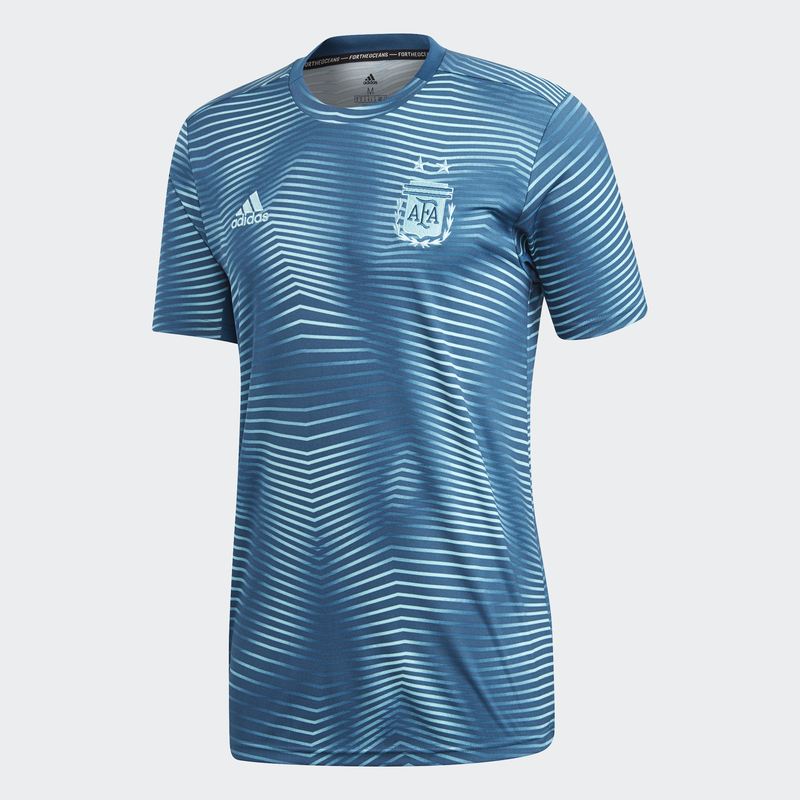 For Argentina's pre-match jersey, adidas joined forces with Parley for the Oceans to create a design with purpose. This soccer jersey features yarn spun from plastic that's reclaimed before it reaches our oceans. It has a lightweight construction and graphics that evoke motion. The back collar carries the message "For the Oceans."